Who are garment workers in South Asia? 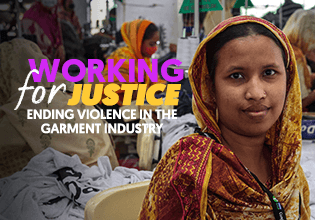 How common is sexual harassment and violence in garment factories and beyond? And how can we make sure all garment workers have safe working environments? Learn more in this infographic. 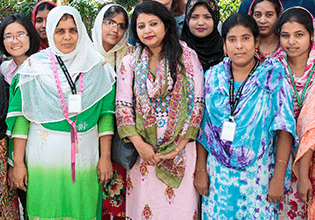 Grantee partner Naripokkho discusses the garment industry in Bangladesh and what the biggest challenges—and opportunities—are to ending violence.